Build with Arx 2.0� and familiarize your creative side with a new phenomenon. 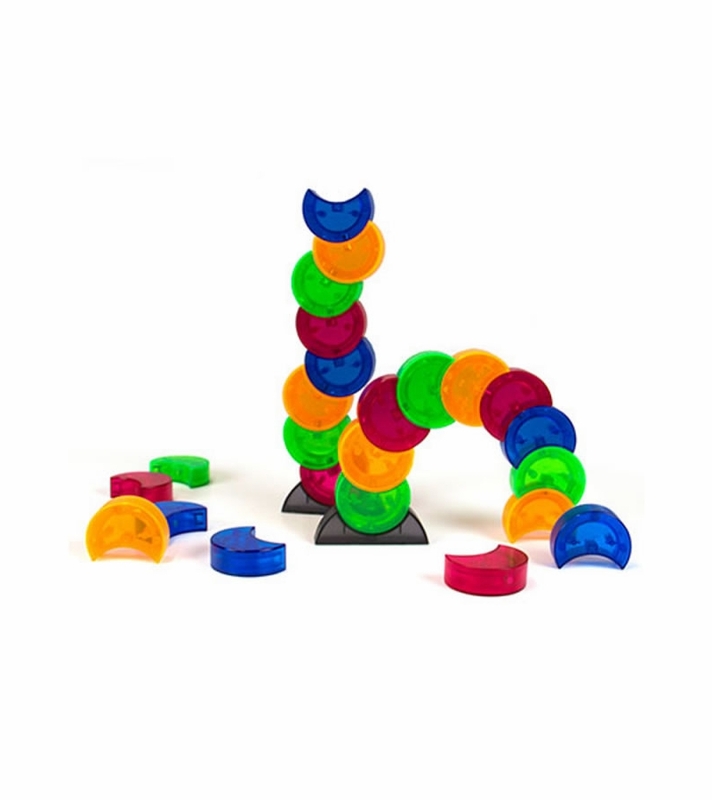 Geometric beauty and magnetizing play come together in Arx 2.0. With a nudge, handsome translucent crescents weeble, wobble and spin. Magnetic, they also attract and stack! A strong magnet rolls through each Arx piece, giving any builder the option of building in ways that defy common thought. When the magnetic force between two Arx pieces meets- you�ll know it. 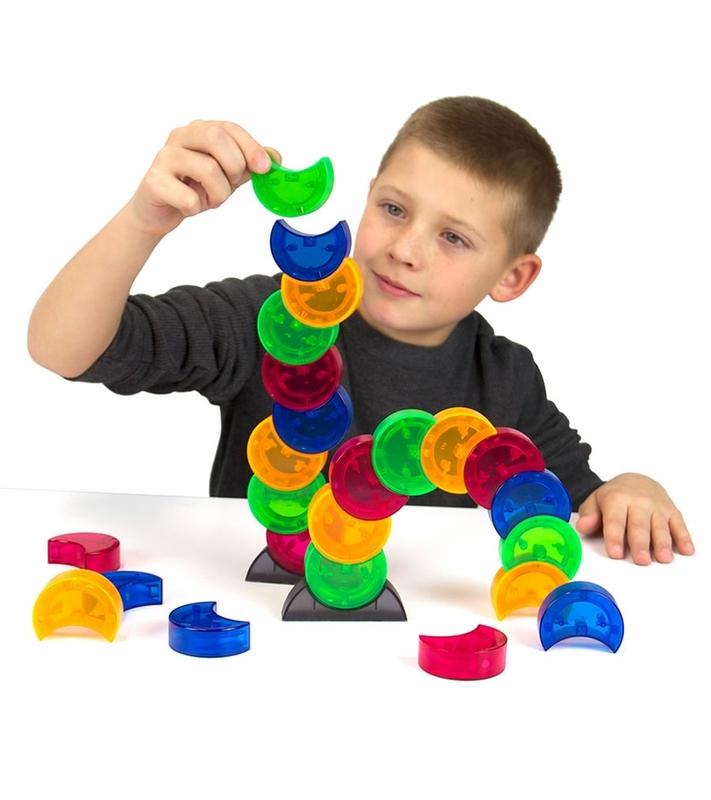 You�ll feel the click as the magnets adhere. There it is. A new route for creative thinking! Explore design, balance and capabilities of magnetism. Experiment with your inclinations. Design with Arx 2.0 on a flat surface. Use the bases to go up and out defying gravity! 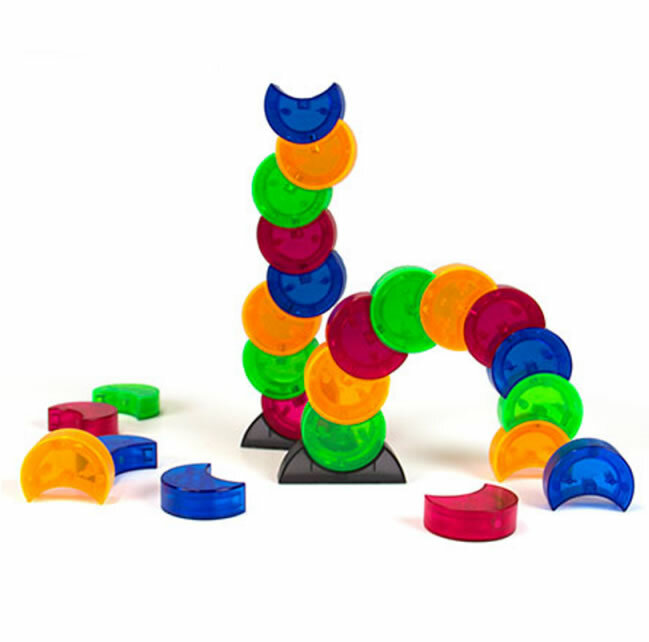 Fundamentally clever and oh-so cool, Arx 2.0 is one rollicking magnetic building toy.